If you are a man considering the nursing profession, you may have concerns about the obstacles you may face as a male nurse. Like any other profession, nursing offers many rewards but also challenges for those who decide to pursue it. The fact that the nursing population was overwhelmingly female for many years may lead some men to hesitate before jumping into this career, even if it might otherwise seem a good fit for their skills and talents. 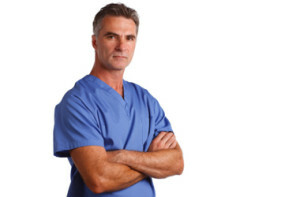 With more men entering the profession in recent years, however, it can be a good time for men to take a closer look at the nursing profession and what it has to offer, as well as what they could offer it. The good news is that more men are going into nursing, which means that some of the obstacles that were once there are changing or getting easier. Between 1970 and 2011, the number of male nurses more than tripled, increasing from 2.7% to 9.6% of the overall nursing population. As more male nurses enter the work force, fellow nurses and patients become increasingly used to and receptive to their presence. The American Nurses Association cites the increase as a good thing, partly because more men in nursing assures that the profession better mirrors the population at large. Interestingly, male nurses earn more on average than their female counterparts. This is probably due in part to the fact that men have been heavily drawn into nursing specialties that pay more, such as the role of nurse anesthetist. While the higher pay is good news for men who are seeking to enter nursing, it’s possible they might face some animosity from women who feel their work is undervalued, especially since the trend of men receiving higher pay than women is a wider cultural trend across many professions. Other potential obstacles that men in nursing may face include stereotyping by their colleagues or patients. Male nurses sometimes report people making remarks to them about their presence in nursing, wondering why they aren’t doctors, for instance, as though nursing is a less important profession or seen as beneath them. Sometimes male nurses have felt more valued for their physical strength than for other traits they may bring to the role, or that people perceive them as less caring or compassionate than their female counterparts. This kind of stereotyping is often something they come across as early as their training, where admittedly textbooks and classes sometimes seem more geared toward female students. Many nursing schools, however, are seeking to change their image and recruiting methods in order to attract and retain more men. The current nursing shortage provides a real opportunity for men to make inroads into a profession that needs both men and women, and that provides men an opportunity to use their skills and intellectual capacities in service to patients. Patients deserve the best the profession can give them, and that includes qualified and skilled male as well as female nurses. Though there will likely always be obstacles for male nurses, some of them are changing with time and still others can be met with the encouragement and help of male and female mentors in the profession. For more information on pursuing a nursing degree, please see: Top 10 Best Online RN to BSN Programs.